Grow Your Own Mushroom Kit - Shiitake | BUDK.com - Knives & Swords At The Lowest Prices! Grow Your Own Mushroom Kit - Shiitake Shiitake mushrooms are one of the tastiest mushrooms grown! It has a wonderful earthy flavor, which is why it is desired as an expensive, good edible. The mushrooms are grown on a compressed sawdust block, which allows the blocks to be made uniform in size and easy to handle. The block can grow up to 4 or 5 crops of mushrooms, but usually 2-3 crops are normal. 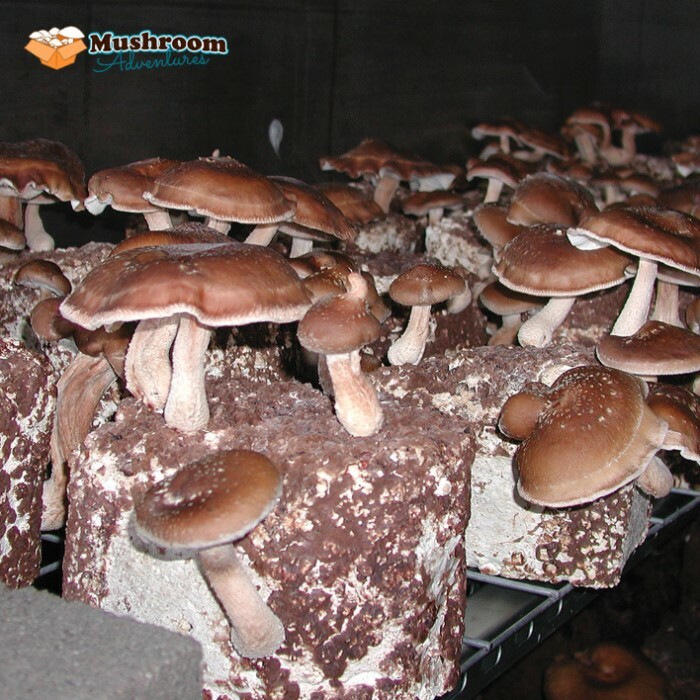 The Shiitake Kit grows approximately 1-2 pounds of shiitakes over a 4-month period of time. The mushrooms vary in size from large to small during the fruiting cycle and the largest mushrooms are usually grown during the first or second crop. The kits are ready to grow upon arrival and should be started in a timely fashion, within 2 weeks of arrival. The kit contains a sawdust block inoculated with mycelium.